Throught the surface rolling intersection increase the product surface. Improve the efficiency of heat transfer. Available in stainless steel and titanium. 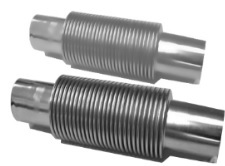 As a kind of flexible pressure tube fittings, is commonly used in liquid an gas transportation system. Available in stainless steel and titanium.